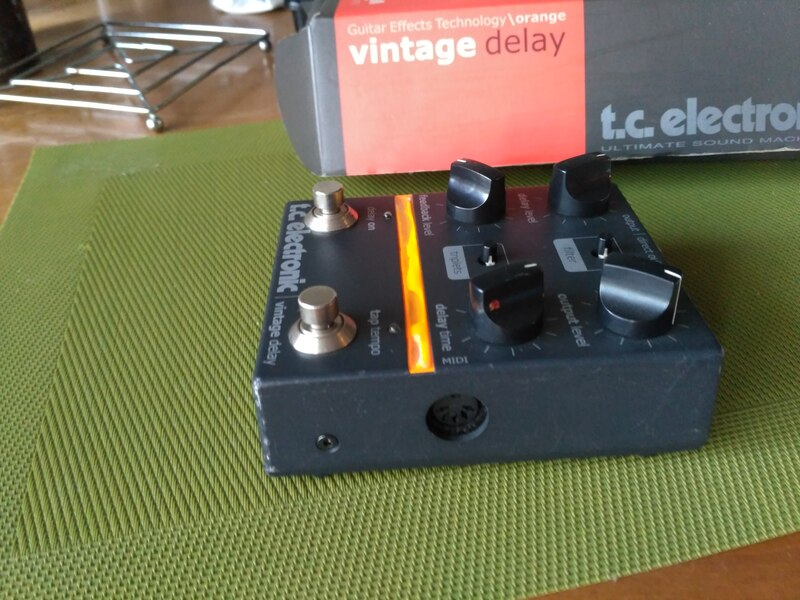 Vintage Delay, Delay/Echo/Phrase Sampler for Guitar from TC Electronic. It provides a delay from October 1500 ms allowing a wide range of possibilities rockabilly until pinkfloyd! 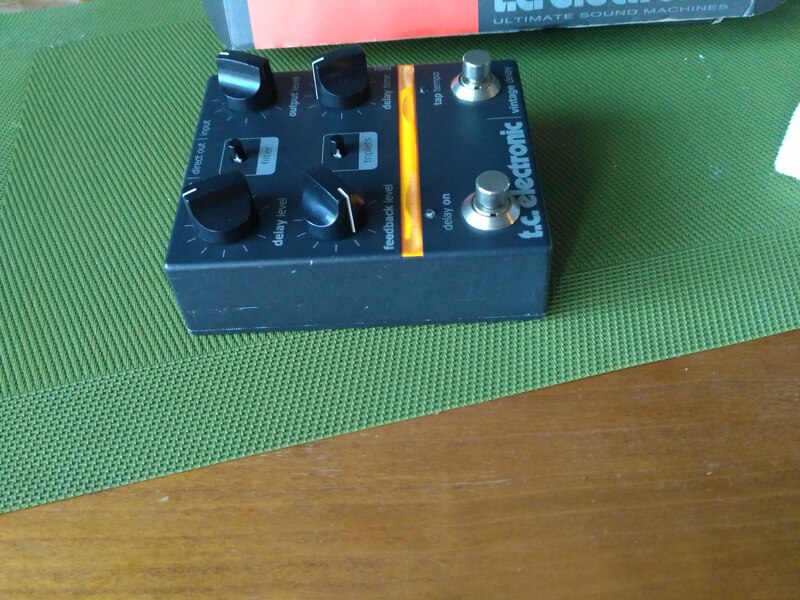 The pedal is lightweight but bnficie a solid case for the price ... obviously it's forcment of quality. 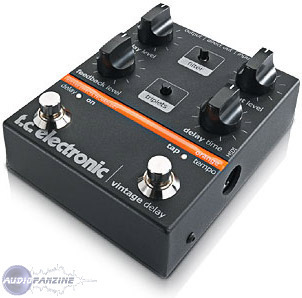 Like all digital delays, the TC VINTAGE DELAY is transparent, but where some other type of digital delays BOSS DLivre a delay dry and clinical, it is fluid and musical! This is who I think actually his main quality he takes the transparency of digital and analog musicality. The function (manual) "filters" allows you to get a simulation of an analog delay. The function (manual) "triplets" you can triple the time between rehearsals according to the rate of the tap tempo .... it so much, I'm not finding a tural difference. 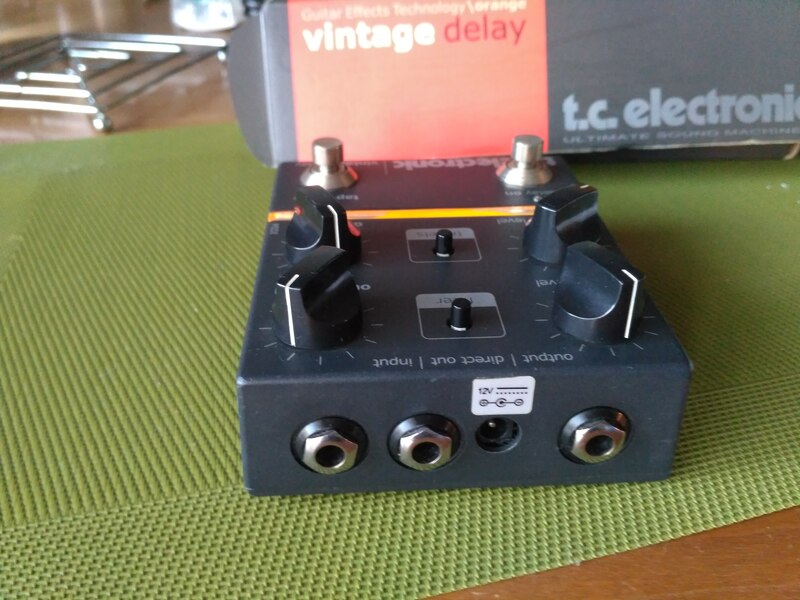 Obviously, some international users VINTAGE DELAY TC finds as good as the T-REX, it is in fact two Danish societies, and it does not m'tonnerai that one outsources the other. I am also always amazed to see the pros guitarists, mainly utiliss THE LINE 6 DL4, the DELUXE MEMORY MAN or BOSS DD! ??? In the end, its only defect is its price, between 250 and 300 euros depending on the dealer, even if it is largely like its promises. almost identical but a bit cheaper. do not buy it for effect. I have a lot of evil proper resolution to the delay time of 400ms was stalling the style ... everything is done either by knob or foot tap-tempo. The TC 2290 I could settle down to the millisecond is for this reason I regret it a max. Ben is not bad at all, less "precise" than the TC 2290 is a model of its kind, for me it come from the differential circuit, the sampling, the type of memory ... but ... in short everything remember that it is a pedal and qd is very well his job. the analog delays. are too vague for my taste. I personally think it's price is that if the TC has put 300 250 E bcp see more people buy it. It is clear that to 400E is having some delay rack full of good home .... TC / Korg or elsewhere. 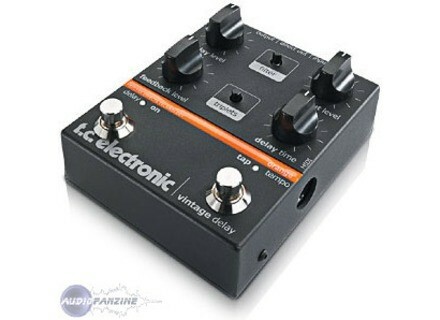 Well then, it's a digital delay, easy to use, rglages are effective, tap delay excellent, excellent bypass (bypass when you leave really digital) and means. Noon and external power connectors 12V book with. This pedal is pleasant to use, nothing to add. The right we enter the heart of the matter, I have a few months, I still jou over tonight and that's what makes me write an opinion, I can not get enough, It replaced a Maxon AD999 (Analog) who did not give me complete satisfaction despite his respect of the total signal. The Tc vintage delay cutting some of the highs signal is the only thing I blame him. The effect on him, trs is good, dosed, trs clean and a small switch (filter) gives an analog button without changing the parameters. I never understood the usefulness of the switch (triple)!? 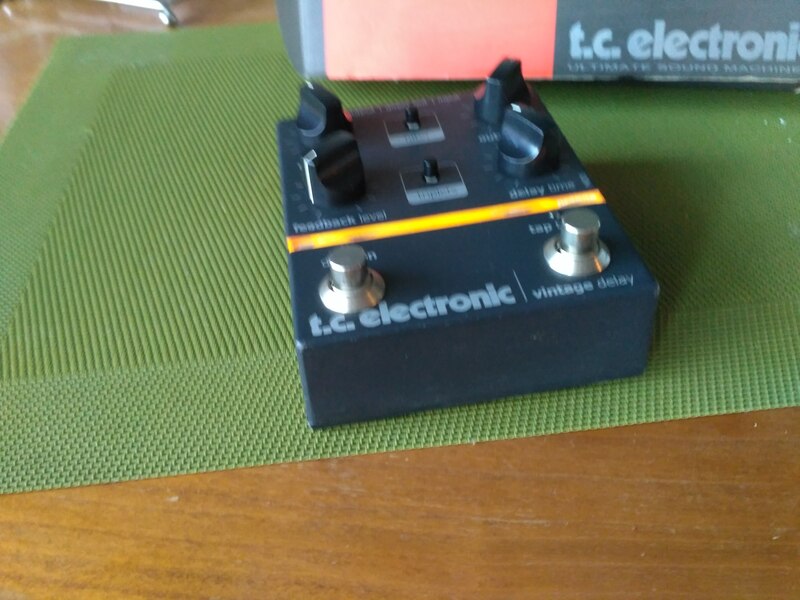 I do not know if the price of this pedal is justified but in any case I do not regret my purchase. Delay with tap tempo and other settings see below .. Already this pedal is super light, the housing must be serious carbon or I do not know me but my first reaction was to hand pedal: 400 brousoufs for ca! But after I plugged in and yes, I understand. ..
pretty simple config, must be used which is not easy to adjust the feedback and everything, but it just comes. Nah not too many models tested, only the digitech and boss, but hey it's incomparable. ah if only they engaged in luge ..
j'mets 7 for the price and the wait.